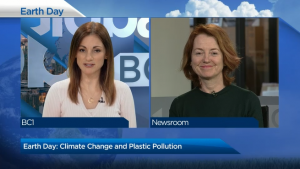 Check out our Executive Director Deborah Harford on Global News! Deb spoke about Earth Day 2018, touching on what we can do to help reduce our negative impact on the planet. Research shows that by 2050 the ocean will be filled with more plastic than fish, but luckily there is much we can do to help. Earth Day was celebrated on April 22, and this year’s focus was on reducing plastic pollution. Deb spoke about the problems of plastic pollution for both marine and land environments. She also highlighted several ways we can all help reduce our personal pollution and make more sustainable choices to improve our own lives and the livelihood of the environment.